Each week I write a political issue that affects YOU and THE WORLD around you. This week’s political issue: Edward Snowden and Government Transparency. On June 9th, a man by the name of Edward Snowden stepped forward and opened Pandora’s Box: Sensitive National Security Documents (PRISM). 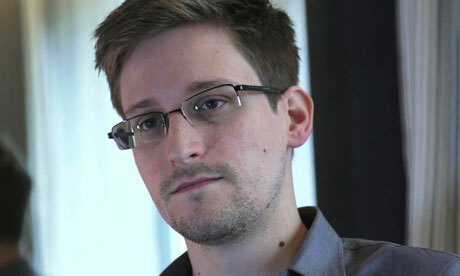 When asked by the Hong Kong English Newspaper about his actions, Snowden replies saying that he considers himself “neither a traitor or a hero; I am an American.” And as such, the 29-year-old computer technician who never finished high school and washed out of his Army training has created the biggest scandal since Watergate. But the question still remains, has Edward Snowden committed an act of treason? Or heroism? Edward is one of hundreds of thousands of private-sector workers who have access to sensitive materials in the intelligence community, Defense Department and other vital agencies, every day. He is right to not call himself a hero or a traitor but to be called an American is far from the truth. I will give him credit as someone who has shed light on this very important issue but I can’t give him credit as an American for someone who has fled to Hong Kong to assert his patriotism and reveal criminality to the Hong Kong government. As a federal worker, you are obligated to not leak or share information pertaining to your work especially if you are there to serve your country–furthermore you read and sign a handbook of what to do and what not to do voluntarily. If you see a problem then use our democratic system (“due process“) to hold those accountable—it is a reason why our system is called “checks and balances.” If he really wanted to reveal criminality to the world then he should have picked Geneva [or Interpol]. Placing himself in Hong Kong and revealing secrets to a government that has no part in international intervention, really puts us [Americans] at risk–as well as our allies. Although we are somewhat fighting a “Cyber War” with China [or Hong Kong], time will only tell if he has committed treason against his country–nothing has happened yet. According to Hong Kong’s extradition treaty with the United States, there is an exception for political crimes, but Hong Kong can only decide to expel him without turning him over to American authorities. While Edward Snowden is seeking asylum for any country that “believes in free speech” [which I find it to be HALF ironic], Congress is seeking answers; and have held congressional hearings to interrogate the National Security Agency and their program PRISM. In a live congressional hearing last Tuesday, NSA agents have disclosed that they have successfully thwarted 4 terrorist attacks (including one at the stock exchange in New York) through the PRISM program. However, the idea that the federal government has access to your personal emails and calls, to stop potential terrorist attacks, is still quite troubling to many—even for Germany. I feel that the biggest dilemma that Americans are facing is not necessarily the idea that government is intruding on civil liberties, but the idea that the American people did not have a voice in the decision-making process when Congress implemented this program. We live in a new and dangerous world, where terrorists and criminals are conspiring attacks behind closed doors, but if the American people do not have knowledge or information of a program that will prevent attacks against innocent people (like the four thwarted terrorist attacks and countless others through means of cyber technology) then the bridge between them and those who safeguard personal freedoms will crumble. Again our system requires us to use “Checks and Balances,” and Edward Snowden cannot be considered as an American. *This is my political opinion. For questions or concerns please direct them to my contact page.